If you want to know what love looks like, then you’ve come to the right place. These photos from Teresa and Zoe’s fall session are the epitome of a loving family — I can’t stop looking at them! I love when a session combines different elements of a couples life. 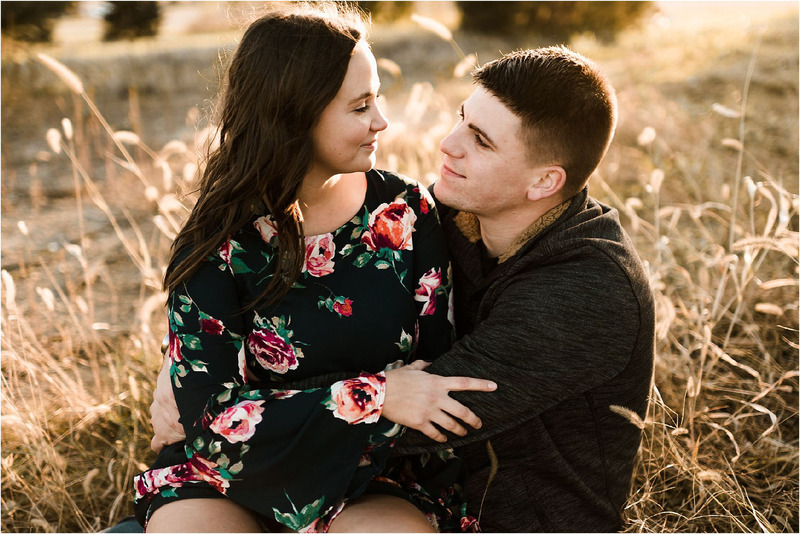 For Teresa and Zoe, we captured this amazing time in their life as an engaged couple but also made it a family session by including their adorable daughter Campbell. And let’s be honest, she kind of stole the show. For this family photo session, we drove 30 minutes outside of downtown Indianapolis to the picturesque countryside of New Palestine, Indiana. We arrived at sunset and took advantage of every drop of golden sunlight left in the day to romp through the tall grasses while laughing and playing together. The best part about family photography for me is the intimate connection between family members. When couples or families are truly connected in the moment that the photo is taken we are able to see those genuine emotions as they’re happening. For me, that is what photography is all about. As I look through these photos, I see the sweetest family. A couple who is not only infatuated with their daughter but also so in love with one another that their playful smiles radiate those feelings through the photo. I love how Campbell’s spunky personality is unmistakable, and how Teresa and Zoe’s kisses smush her little cheeks with overflowing affection. If you’re on the fence about a family or couple photography session, I encourage you to go for it! These memories are precious but so fleeting, and the best way to capture them forever is through beautiful photos like these. Thank you to Teresa, Zoe, and Campbell for showing me how to have the most fun on a photo shoot in the middle of nowhere. You are one special family.